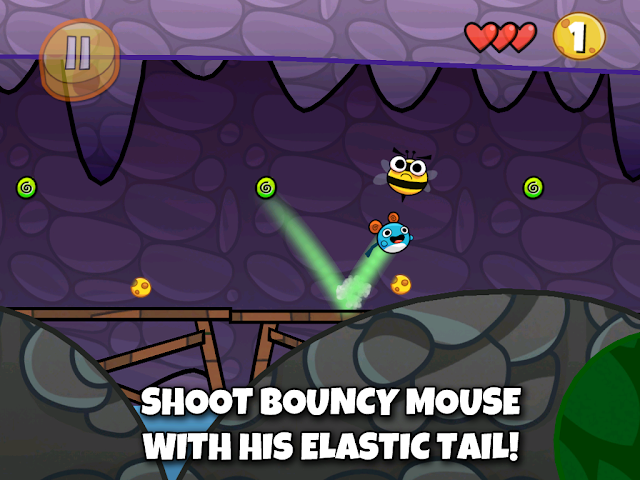 Bouncy Mouse for Android, iOS, and Windows Phone! All was good on Mouse Island until the thieving Captain Cat stole the Big Cheese! 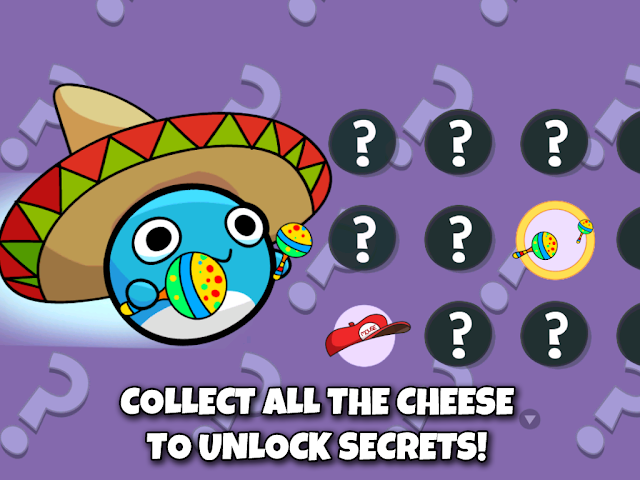 Help Bouncy Mouse get the Big Cheese back and restore peace to the world. It's a big task for a little mouse! 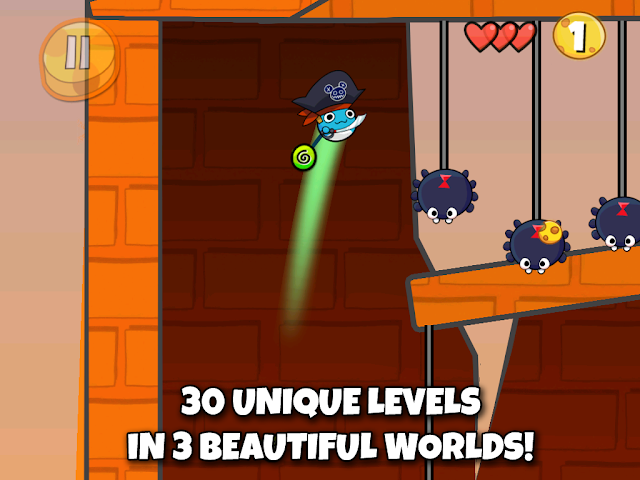 Use his elastic tail to shoot, sling, and fly Bouncy Mouse through 40 beautiful levels in four exciting worlds. 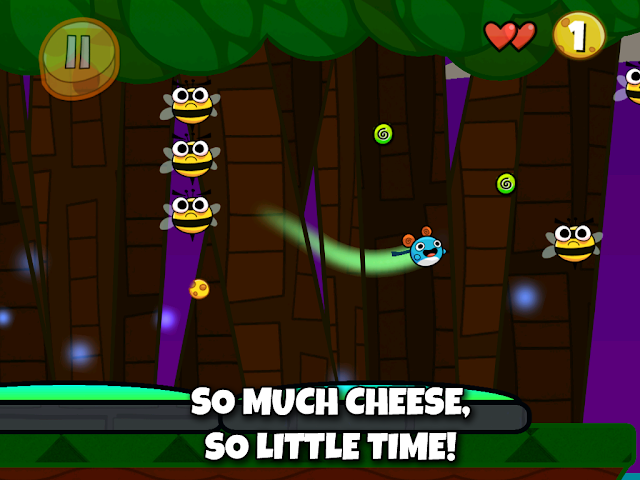 Avoid Spiky Bees, grab on to magic pegs, bounce off of Bumper Birds, and eat as much cheese as you can. It's an epic adventure for all Mouse-kind! Bouncy Mouse is a brand new game for Android tablets and phones and iPhone, iPad, and iPod, and Windows Phone! 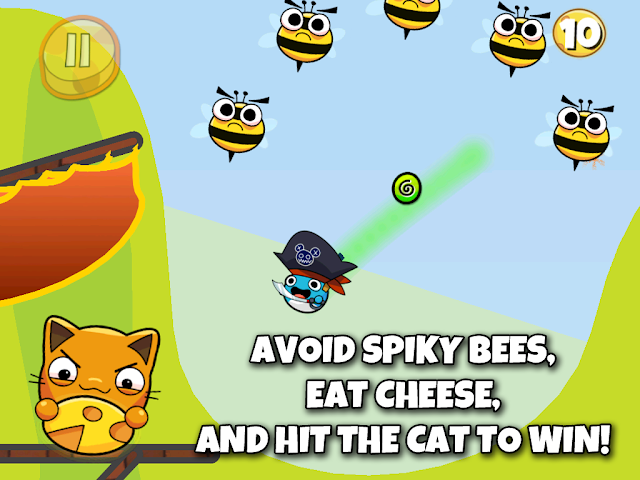 Take out the thieving Captain Cat and restore peace to Mouse Island!